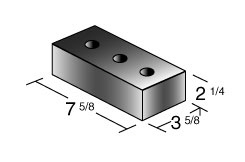 Thin Line has the appearance of full brick, but with a light weight advantage. 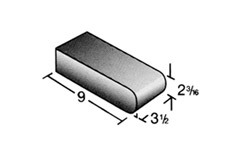 The 3/4″ thin brick offers the unique styling and versatile design capabilities that are essential tools for creative projects. 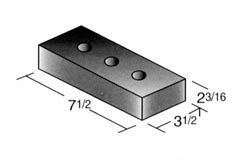 Mini Brick is manufactured under tightly controlled processes to ensure its beauty, durability and lasting value. Use Pacific Clay Thin Line alone or accompanied with additional product offerings such as Bullnose, Pavers and Face Brick. The Pacific Clay products’ Bullnose family offers distinctive design flexibility and adds enduring beauty and durability in any application. 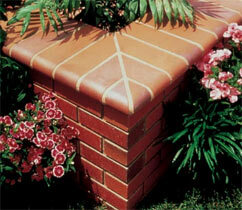 Pacific Clay Bullnose bricks are low in absorption, easy to clean and require little maintenance. 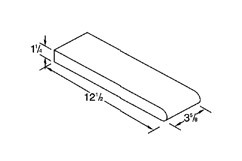 Bullnose are available in 9″ and 12″ lengths, single and double ended and kord and solid bodies. 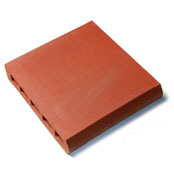 We’ve boxed the perfect idea- pre-cut corners* from our premium bullnose brick. Open a box and you will find a perfect 90 degree corner every time. 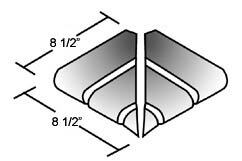 Labor saving precut bullnose is available in your choice of inside or outside corner sets, making your job much easier. 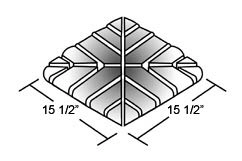 Precut 16” and 19” column caps also available. Why waist valuable time on a job site? Try one and you’ll never cut corners again! * Requires prior notice, not stocked pre-cut. 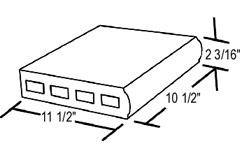 A craftsman-directed design, Safety Grip Bullnose combines the beauty and versatility of fired clay brick with the safety and labor saving workability of conventional concrete coping. 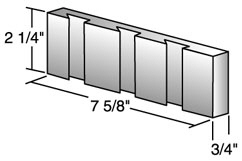 Safety Grip Bulnose is longer (12-1/2”) and thinner (1-1/4”) than traditional bullnose, so it easily replaces concrete coping without removal or modification of the existing bond beam. It requires no cutting or grinding. Just remove the old concrete coping, clean the setting bed, and start laying brick. More importantly, the unique design of the Safety Grip’s bulb end provides a safer, superior grip for pool users than traditional bullnose. 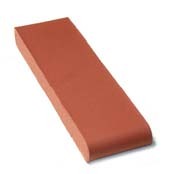 Safety Grip Bullnose…it’s the safe and cost effective way to enhance your investment with the timeless beauty of brick. 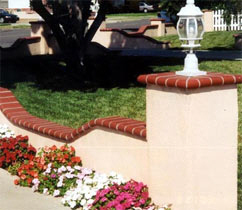 The Pro-Finish Bullnose by Pacific Clay is an ingenious detail product designed to not only enhance the beauty of brick stair treads, landscaping walls, and planter boxes, but also as an economic labor-saving product for the contractor and mason. Developed to provide a professional “finished” look to the ouside edges of many design applications, the Pro-Finish Bullnose features the conventional bullnose edge at on end, in addition to the same smooth curve along one edge of its length. Where previously several bricks and cuts were required, now only on Pacific Clay Pro-Finish Bullnose need be installed. 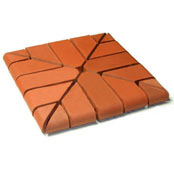 Designed with ease of installation in mind, Retrofit Bullnose offers the charm of real fired clay brick without high-cost installation and maintenance. 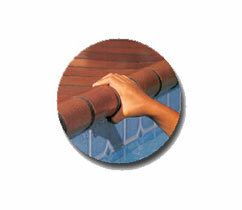 Retrofit Bullnose offers the charm of real fired clay brick as well as the low-cost installation time of standard concrete pool coping. Because it’s been designed with direct input from contractors and distributors, it’s easier to install and is more flexible in design than customary bullnose. 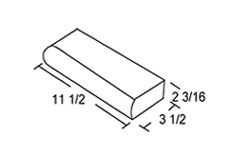 Retrofit is longer (12-1/2”) and thinner (1-1/4”) than traditional bullnose so it easily replaces concrete coping without having to cut the bullnose or grind the bond beam. 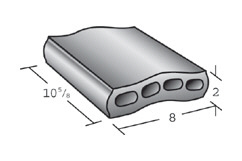 Retrofit offers a flat, round end (as in traditional bullnose) for more linear aesthetics. 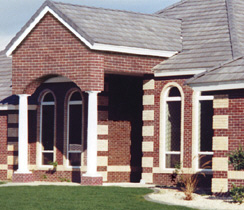 Pacific Clay’s Face Bricks are available in a variety of textures, sizes and colors. 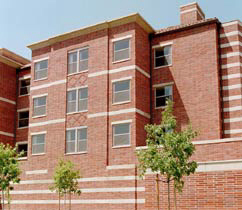 Our bricks are aesthetically pleasing while meeting the most exacting and structural demands. The attractive colors and textures offer design flexibility for contemporary or traditional designs and are genuine in every detail. 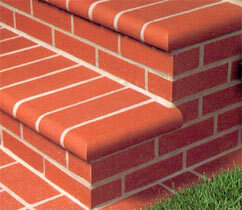 Face Brick assures durability, convenience and everlasting beauty for any remodel, commercial or residential project. 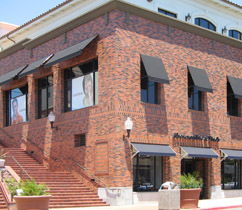 Pacific Clay’s Face Brick offers an exquisite companion to our entire standard color line of Bullnose and Paver products. Coverage: 6.75 pcs. per sq. ft. Inspired by the warmth and elegance of Italian architecture and landscaping, Pacific Clay used its creative imagination to produce Capella Bullnose, a decorative enhancement for poolside coping. Capella Bullnose offers all of the enduring qualities of natural clay. Its inherent durability and color integrity will provide years of maintenance free service through all types of climatic conditions. 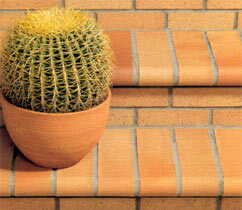 Available in two attractive colors which match Pacific Clay’s existing family line of brick pavers. Inspired by the warmth and elegance of Italian architecture and landscaping, Pacific Clay used its creative imagination to product Capella Bullnose, a decorative enhancement for poolside coping. Capella offers all of the enduring qualities of natural clay. Its inherent durability and color integrity will provide years of maintenance free service through all types of climatic conditions. 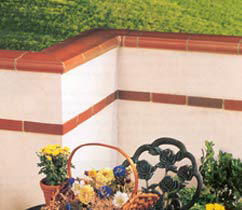 Look for Capella in two attractive colors, which match Pacific Clay’s existing family line of brick pavers.